Oh boy! It is allergy season and I do not have mine under control… yet. It seems no matter what I take to help me stop sneezing just makes me want to sleep and when I’m not sleeping – its like I’m in a fog. So that’s kind of what I did yesterday – sleep. Oops! Please don’t be too angry with me. 🙂 I’ve only been up half an hour and my eyes are already burning like fire – could be another sneeze filled morning followed by fogginess and then nap time. Hopefully not though. What’s your best trick for dealing with allergies? Do share! Okay – so now to the fun stuff – did you see that we have a new Gingerbread Lady? If not – scroll down a little and learn a little about her. 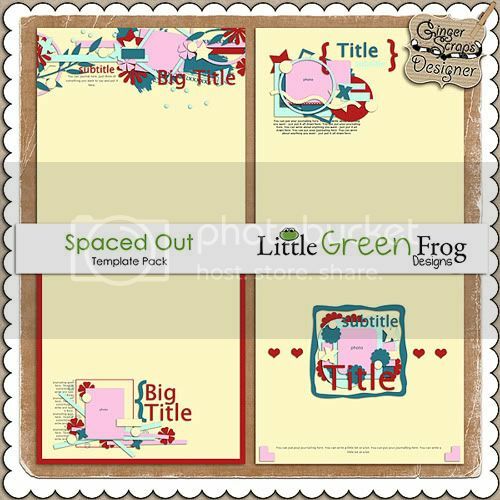 She’s got some awesome templates in her store! Also – we are coming to the end of the month – so don’t forget to check out this month’s guest designer – Valarie Ostrom’s store! And there’s still a little more time to get in on the challenges in the forum. Did you know that we give away THREE $5 gift cards just for participating in the challenges. Each challenge you do earns you points into the cookie jar and then at the end of the month 3 winners are drawn from the cookie jar! So – here’s the link for yesterday’s part – Day #24 and click on the image for Day #25. You probably have been on the edge of your seat all weekend wanting to know what was going to happen today. This news is so excited I couldn’t wait to tell you. You probably want me to just come out with it and tell you, but I can’t. I mean I can, but where is the fun in that? Ok, fine you all win! We have a new designer joining us! I know! Great huh?!?!? 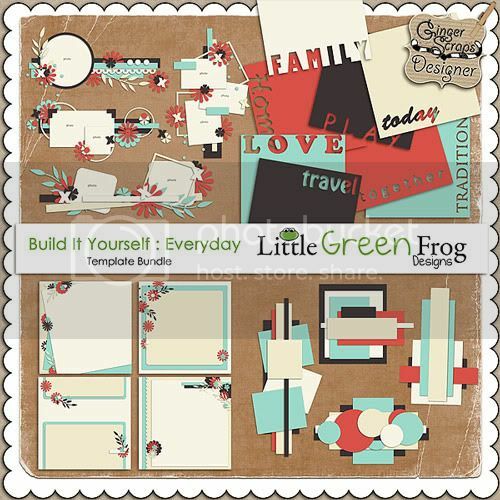 This new designer is Andrea of Little Green Frog Designs!!!! Here are some ways for you to stalk her! I am currently 35, married to my childhood sweetheart and we have two children, Jayden 10 and Ellie 7. Both tend to feature heavily in my layouts (Ellie more so as Jayden has now developed a photo allergy it seems). We live on the NW coast of England in a small town called Morecambe (if you’re familiar with Morecambe and Wise, this is where Eric Morecambe was born and where he took his name from). At the moment I’m not working – not through choice but the job market isn’t great at the moment – however, it does leave me plenty of time to scrap and design my templates. I’ve only been selling my templates since May of this year after some pushing by friends to give it a go and I’ve really enjoyed it so far and am looking forward to joining the community at Gingerscraps. I’ve been talking with Andrea a lot these past couple of weeks getting ready for today and I can honestly tell you she is such a sweetheart! You guys are going to just love her!! Time to show you her amazing templates. You won’t believe it but Andrea doesn’t have just 1 or 2 items in her store to open with. No sir! She has 10! Make sure you check out her store to see them all! Here are just a few of them. This quirky set of templates help you create the perfect white space but still allow for plenty of clustering. 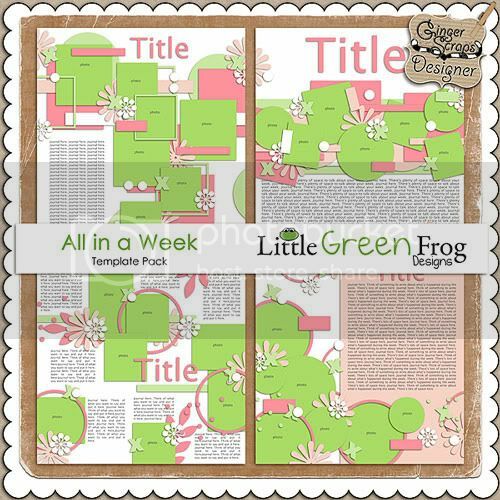 This bundle includes 4 different template packs all designed to help you build your own page. *Stacked papers to help you create your overall look. *Cluster templates to help with photos and clustering. *Paper bits for those who want added layers. *Title stencils of everyday words to give you a big bold cut out title. 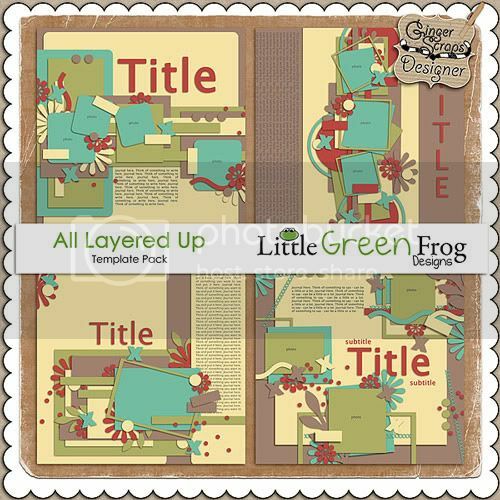 These templates are great for helping you create that layered look. Incredible right? Wait until you see the other ones in her store! Plus if that isn’t enough her entire store is 25% off! The only catch is it is only on sale for today and tomorrow..so Hurrry!! So that’s it! Enjoy shopping at Andrea’s store and have a great rest of your week and I will see you back here on Friday! !